This is our first outdoor Reviewbicle and with a special guest, MN Beer Activists’ very own Andrew Schmitt. Both of these facts make this a special tasting and one that reinforces the notion that beers are best shared with friends and alongside a grill (weather permitting). We urge you all to consider this when you are amassing cellars, as these beers do no good if not shared and enjoyed with those whose company you keep. 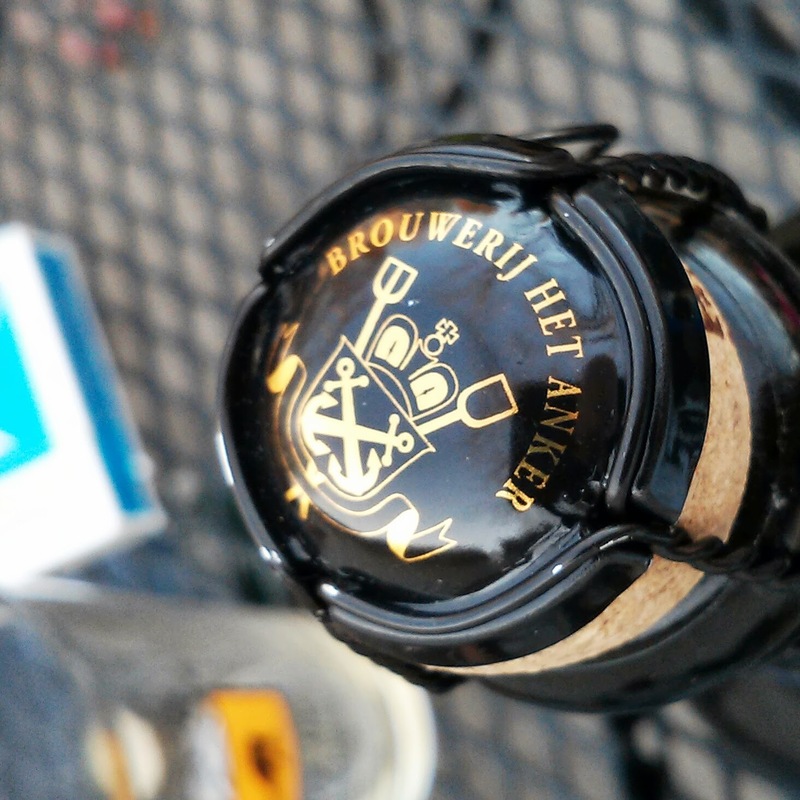 Cuvee Van de Keizer Blauw has a lengthy, but interesting, story on the bottle; I will not re-hash it here, but it’s worth mentioning, as we always like a good story. It is classified as a Belgian Strong Dark Ale and with a Belgian address on the label, 11% ABV and dark brown color, who am I to argue? As promised last month, we’ll be reviewing a ’09 and ’12 for your reading pleasure and to break us from our ’10/’12 rut. Appearance (’12): This corked and caged beauty pours a lovely deep henna color and develops a light and velvety cream-colored head, which dissipates quickly and some lacing remains on the glass after a nice swirl. Minimal sediment appears in the glass and has a nice clarity to the body when held up to the light. It is a rich and regal looking beer from the get go, but it could be that the glimmering label is swaying my opinion. Appearance (’09): A friendly debate starts when putting these side-by-side about which one is redder. I will spare you the banter and say that they are virtually the same color, as a compromise was made by the tasters, in the interest of maintaining friendships. The head that formed was indistinguishable from the ’12 vintage; it was rather velvety, with a rich, espresso-like foam and was creamy in color, which was quickly fading. Aroma (’12): This one starts with a very sweet aroma of mouthwatering candied sugars. Well, I guess it was mouthwatering for those with a sweet tooth. Dark fruits come in to play as well, hinting at plums, raisins and cherry, which was the most forward scent. There’s also a distinctive alcohol burn, as the 11% is not hiding with this guy; it is there and you know that you’re getting into something with some heat. Aroma (’09): Three years down the line, the nose has shifted quite noticeably. Our olfactory venture started with lots of fruity esters, as banana and pear stood out to us. The darker fruits found in the ’12 were there but had fallen back slightly and cherry still held the prominent position. Most noticeably behind the development of fruity esters was the drop in alcohol presence and the deepening of the aromatic finish. On the tail end, the earthy notes of tobacco and leather were noticeable. Taste/Mouthfeel (’12): Taste kicks-off fairly sweet, the candied sugars and dark fruits mingle creating a rich and full flavor that is highly enjoyable and surely fit for an Emperor. However, the mingling is quite suddenly interrupted by the 11% giant in the room, which seems to swallow them up, while leaving the sugars behind. This results in a sweet, if not slightly, stinging finish. The sweet on the back-end bears much more resemblance to toffee and caramel than it does to fruit. The carbonation levels played a great role in the flavor progression here, as its’ soft and smooth bubbles complimented the rich and deep flavors quite nicely. They facilitated a very balanced and enjoyable glass of beer. Taste/Mouthfeel (’09): The ’09 vintage also begins sweet, but less aggressively so, as it is more subtle and rounded. The complexity has simplified a bit, highlighting cherry elements which remain present throughout. The dark fruit flavor doesn’t get pushed away by alcohol this go-around and meets the tail-end flavors of leather and tobacco in a most pleasing way. The contrast of fruit and leather is a great combination and has achieved a wonderful relationship at this point. The carbonation, while visually similar, has begun to wane in the mouthfeel. This resulted in a thicker and arguably more luxurious texture than the ’12 and played wonderfully to the rich flavors found in the beer. 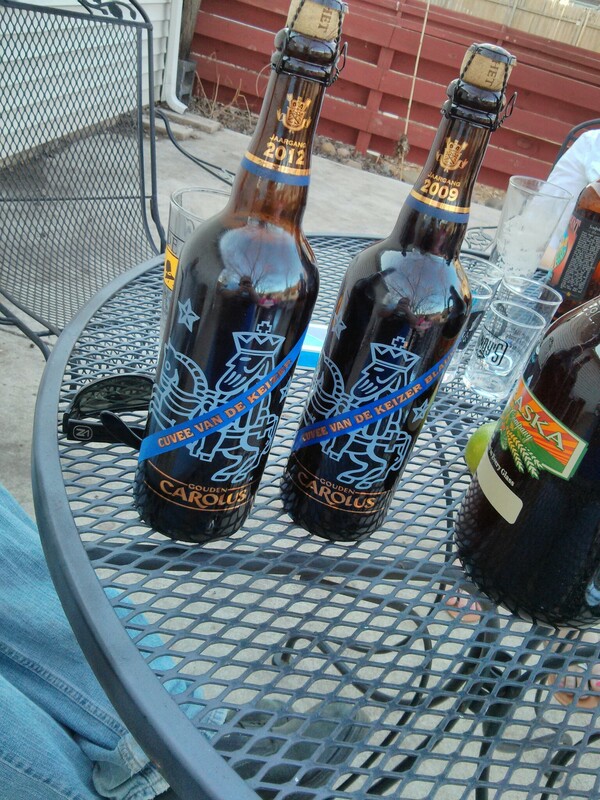 Overall Comparison (’12 and ‘09): Both of these beers are wonderful right off the bat and a good amount of complexity and depth of flavor resides in both. Clearly, these are high quality beers, no matter how you slice either vintage. The ’12 starts as such a wonderfully complex beer and hits some of the great fruit notes and candied sugars you’d expect from a Belgian ale, and does so despite a strong presence of alcohol. Without a doubt, this is one that could be enjoyed right away. Having it side-to-side with its’ 3 year-old brother leads us to believe that great things are happening for this regal ale. It has all the hallmarks of a good aging candidate and the bottle states it can age for 10 years. The elements seem to be simplifying as time goes on, but don’t confuse that for a diminishing of interest. The simplicity highlights some great flavor contrast and layering which previously were shrouded with elements only beginning to harmonize. In our minds this is a great cellaring beer, and one that we will personally be investing more time in. The bottle is easily available and provides some nice diversity for a cellar, which may be leaning in a one-dimensional stout/barleywine sort of direction.